B.Com final year student can apply for CGL Tier-1 2015? I am persuing CA course. I am in ca final and also i am doing B.com(pass course) and i am in B.com final year. My B.com result will be coming in may 2015. Sir, I want to know that can i eligible for CGL tier-1 2015 which will going to be held in the month of Aug 2015 and tell me how i can my ca(inter) qualification in cgl 2015.My DOB is 01.01.1997 so tell me can i eligible according to age for cgl 2015. B.Com final year student is eligible for CGL exam 2015? How to become a Vigilance Officer? Final semester student is eligible for SSC CGL 2015? What should I study further after completing 12th to become an Income Tax Officer? 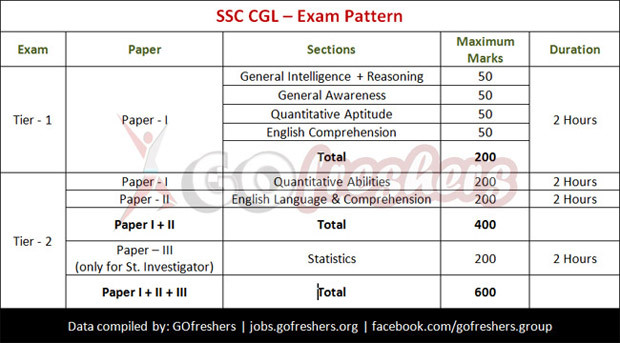 Eligibility for SSC CGL 2015? Procedure and requirements to join CBI for Computer Application Diploma and BCA graduate? Am I apply for SSC CGL Tier I after passing B.A? Can I appear in SSC CGL 2015 exam? Whether the marks of TIER-I is added in TIER-II of SSC CGL recruitment exam? Cutoff marks required to qualify SSC CGL TIER-I recruitment exam? Is it possible to apply for both IES 2015 and ESE 2015? Eligibility for JMFC 2015 exam for final year student? Can I apply for SSC CGL if I have a backlog which results will come in July 2015? Admission in B.Com 2nd year is possible in 2015 if studies 1st year 5 years back? Re: B.Com final year student can apply for CGL Tier-1 2015? Yes, B.Com final year pursuing candidates are certainly eligible to appear in SSC CGL Tier 1 Examination 2015. You are eligible to apply for SSC CGL 2015 Recruitment Examination as far as your age criteria is required. The minimum educational qualification required to be eligible for applying for SSC CGL Tier 1 Exam 2015 is Minimum Graduation or Bachelor Degree Pass from a recognized university. Final year candidates are also eligible to appear in SSC CGL Tier 1 Examination which is going to be held in the month of August 2015. Age criteria required generally varies from job post to post, and for some category posts the minimum age required is 20 years but for some post the minimum age required is just 18 years. So you can apply for the posts which demand candidates to have minimum 18 years. Since the minimum age required is 18 years for almost 75% of posts, you are certainly eligible to apply for almost all posts. Yes, you are eligible for SSC CGL Tier 1 exam. Staff Selection Commission (SSC) is an Indian government organization which will recruit staff members for the various posts in the various departments and ministries. Those candidates who have completed graduation degree from a recognized university are eligible for SSC CGL exam. Your age should be 21 to 27 years. Yes, if you are in final year of graduation and going to be passed out in may then as per the notification calendar of CGL 2015 you are eligible for this exam. >> Candidate to be Indian citizen and have passed the graduation from a recognised university till 1 August 2015 from any stream. >> Should be fall in age criteria for 20-27 and have not any backlog in graduation. >> A relaxation of 3 years for Obc and 5 years for Sc candidate and 5 years to physical handicap candidate is given.